The tomatoes are gone. What to do? 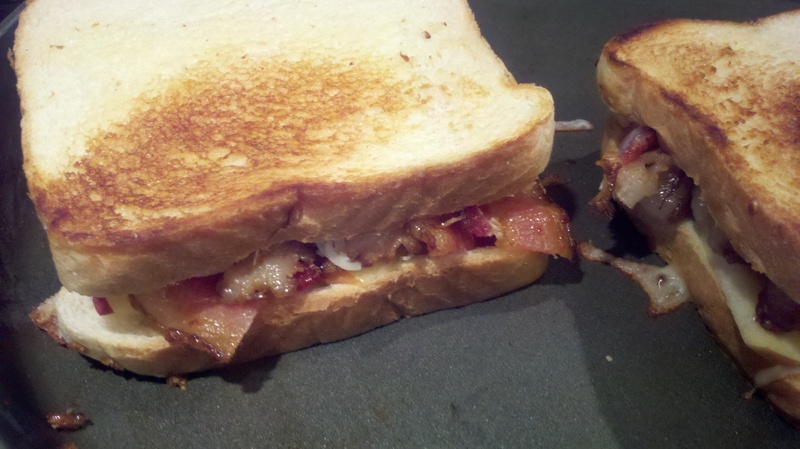 I made do with a bacon, apple, and cheese sandwich. The bacon was crispy. The apples were thin and sweet. The cheese was gooey. It hit the spot that this summer’s tomatoes used to fill. Of course, I could wrap my shoe in bacon, and I would think it would be yummy.